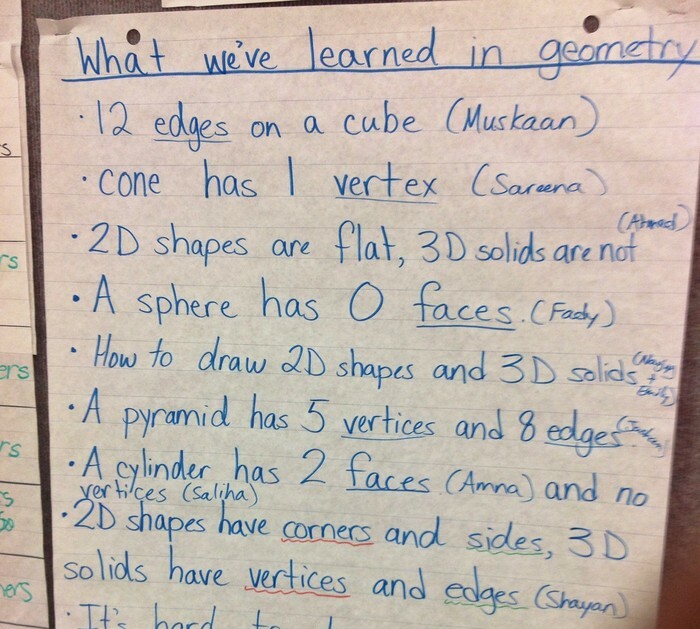 Exploring the explicit teaching of math vocabulary, the use of learning goals and co-constructed success criteria to support students' communication and ownership of their learning. 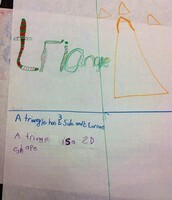 Theory of Action in Grade 1/2 & Grade 1 F.I. 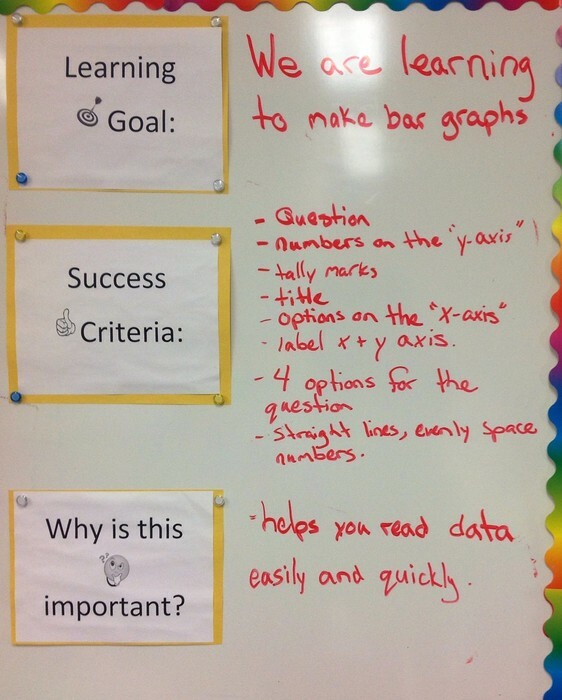 If we explicitly teach math vocabulary through the use of learning goals and co-constructed success criteria then students will communicate their mathematical thinking better. 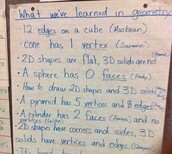 Students used different co-constructed success criteria in a variety of tasks which involved using math vocabulary. 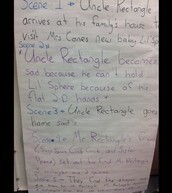 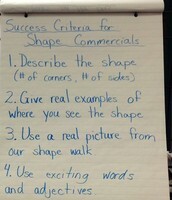 A series of success criteria charts was used for creating a shape commercial. 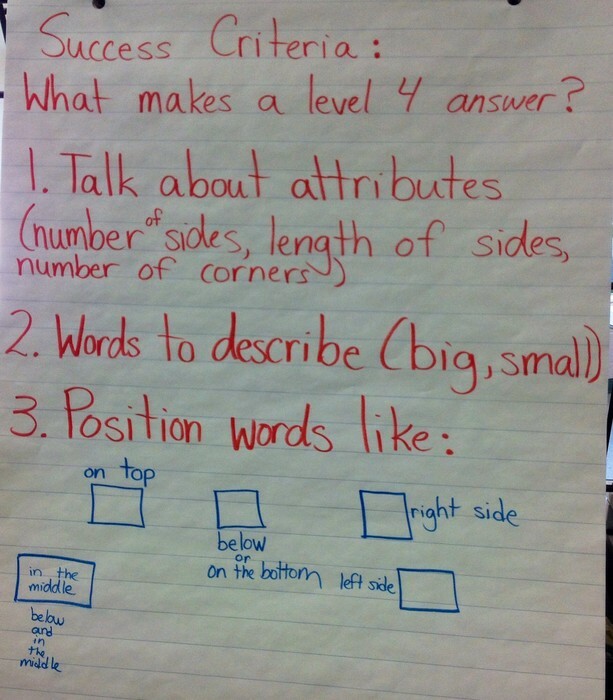 Students initial the success criteria chart promoting ownership of their learning. 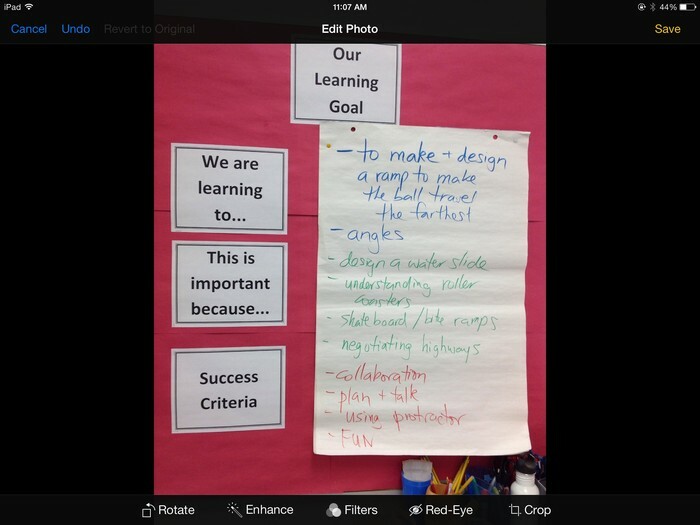 Sharing the set up of the way learning goals and success criteria were set up in one classroom led to a similar set up in another classroom. 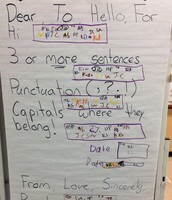 Finding the right spot-on a dry erase board within reach - made the chart interactive, useful and led to an increase in it's use. 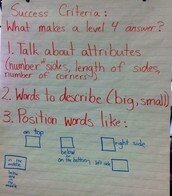 Having students use their co-constructed success criteria to self-assess their task leds to ownership of their learning. Checking in with students throughout their learning enabled the teacher to assess if they had a clear and deep understanding of conceptual knowledge or curricular 'big ideas'. 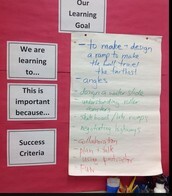 Returning to the learning goal with the students reflected that the learning goal was met. 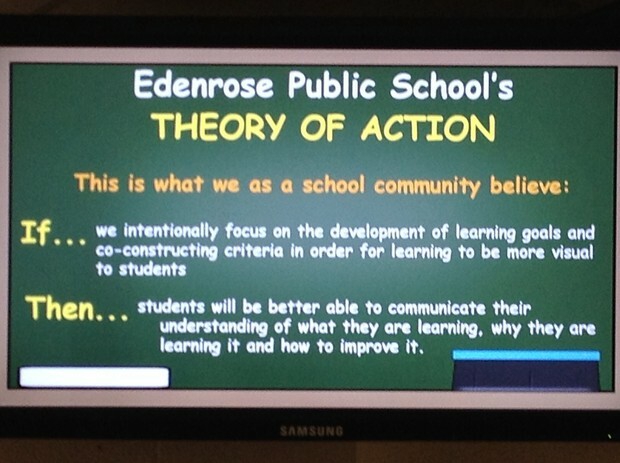 Why have a learning goal? 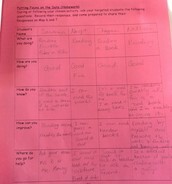 Having discussions about the purpose of learning goals enables teachers to clarify any student misconceptions. 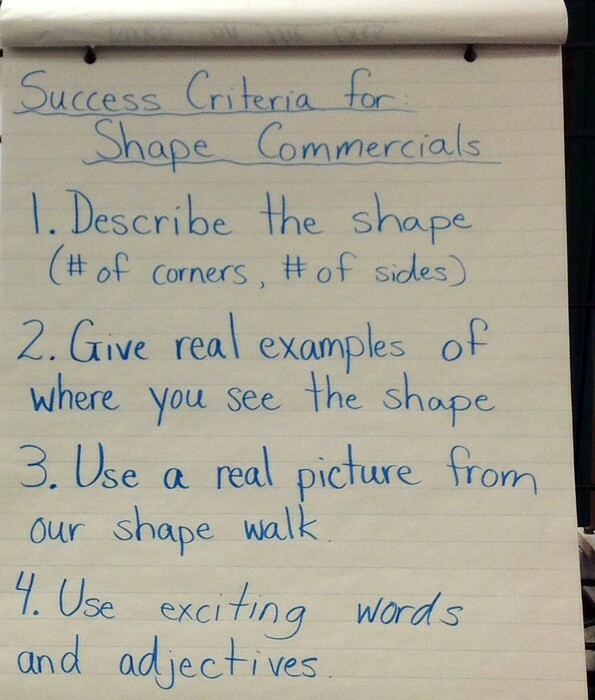 A student describes how to use the success criteria suggesting that it is important to keep referring to it. 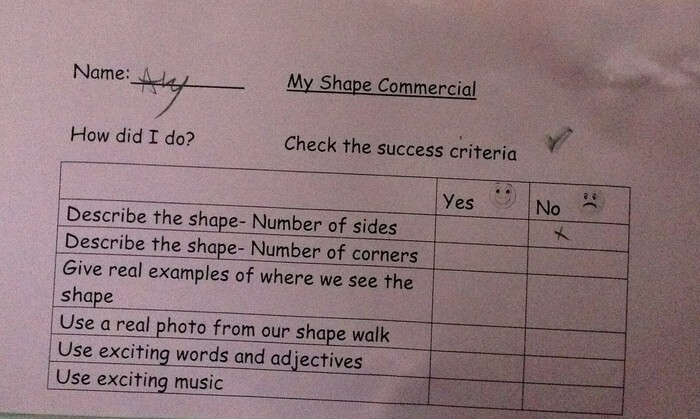 Often times, primary students would walk up to the chart to check off the criteria as they worked. 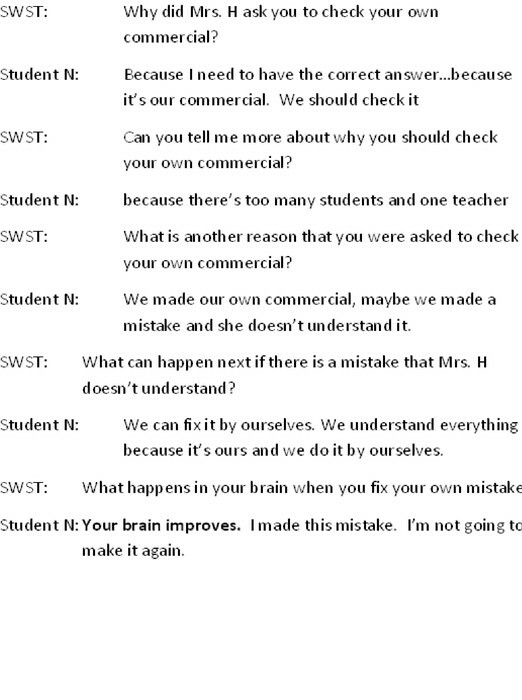 What happens when you use SC to self-assess? 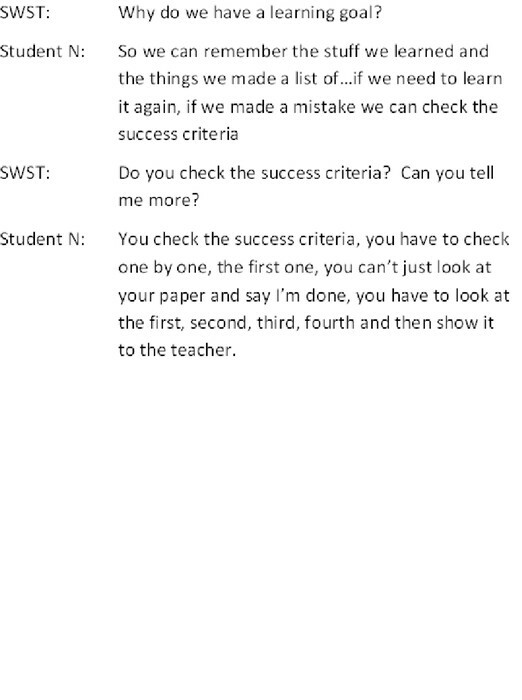 A student describes what happens when they use success criteria to correct their mistakes. 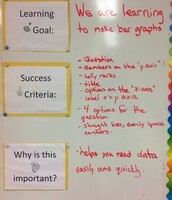 The praxis of learning goals and success criteria is important. 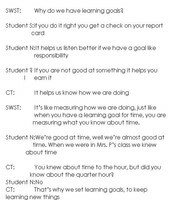 The use of learning goals and co constructed success criteria has to work for the teacher so that it is used and relevant for the students. 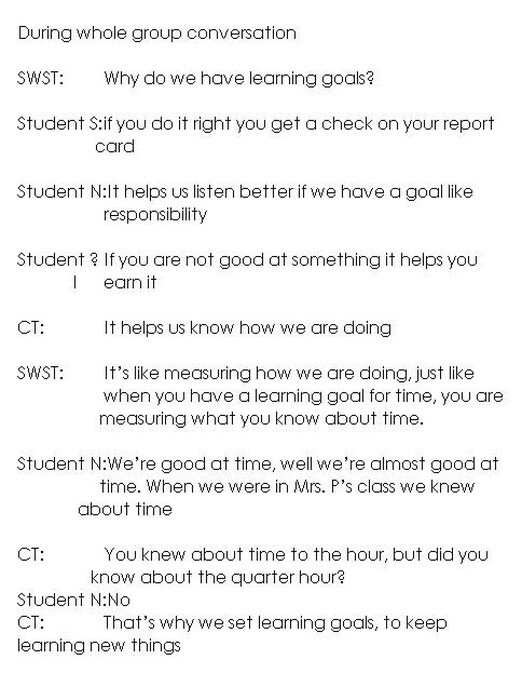 Students reflecting and discussing why we have a learning goal to begin with is important. 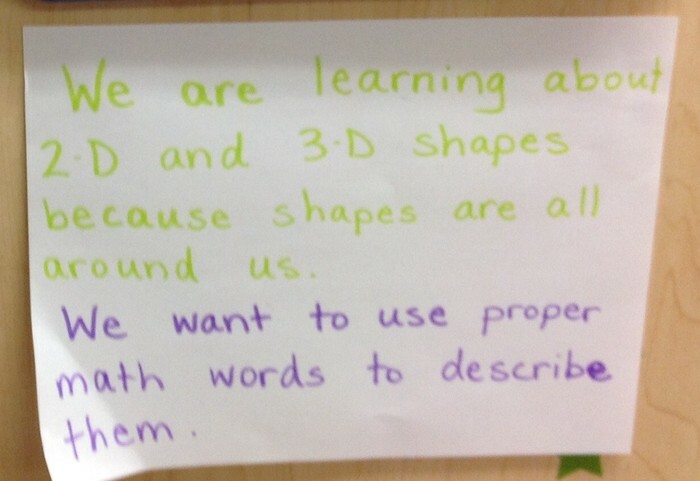 It leads to students being participants in their own learning. 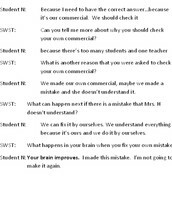 Some students can articulate their thinking on LG's and SC more clearly than others...will spending time on helping these students express themselves help them to improve academically? 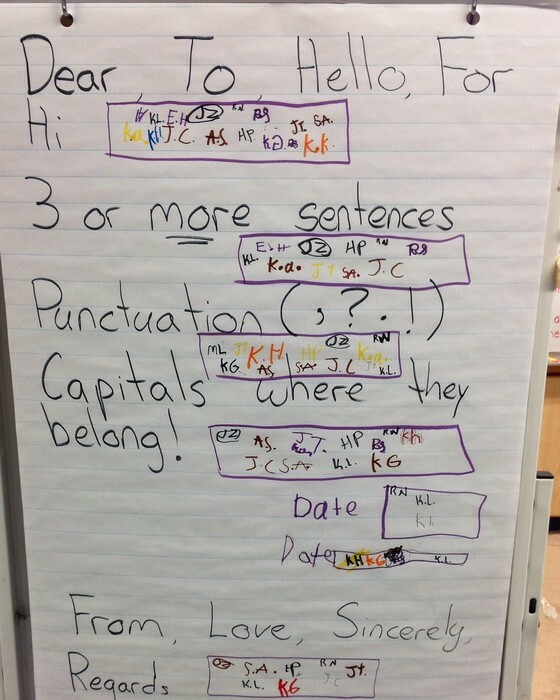 For some students, physical interaction with the LG & SC is necessary. 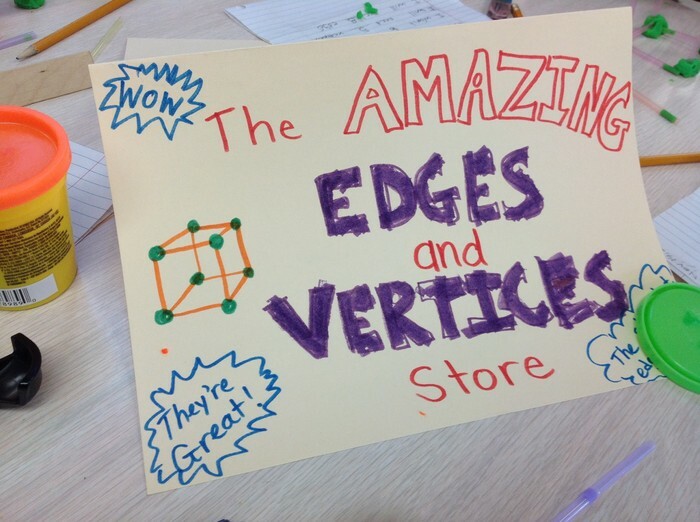 The more it is recognized in the classroom as a thinking and learning tool, the greater it's value for students. 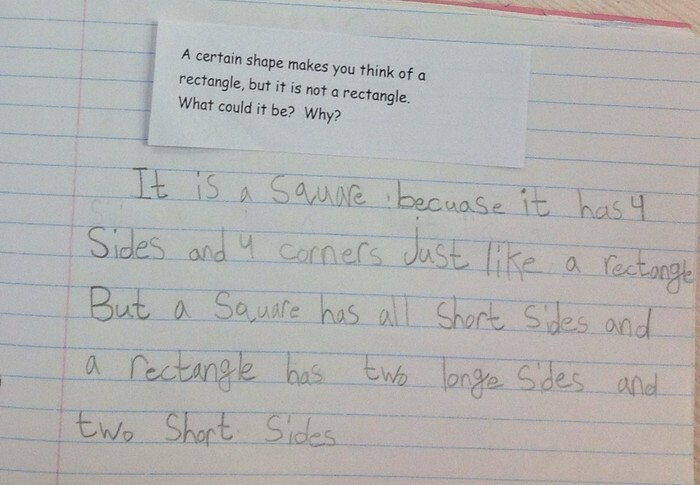 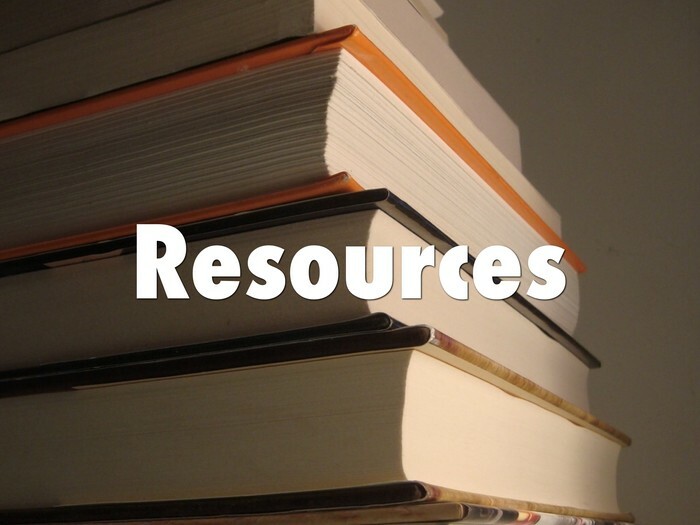 The level of discourse in the classroom is equal to the level of mathematical discussion. 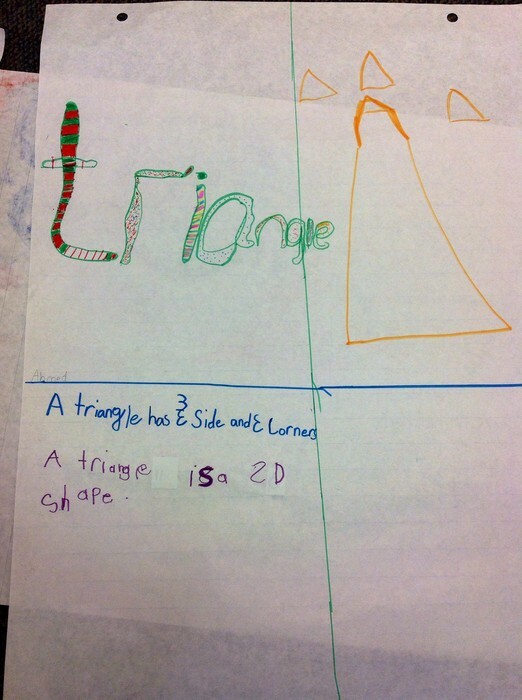 Student Work Study Initiative 2013/14 at Edenrose P.S. 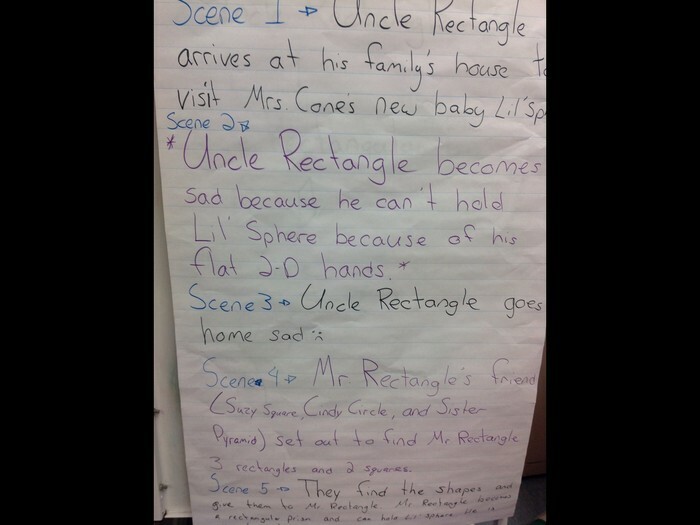 A collaborative inquiry in using vocabulary, learning goals and co-constructed success criteria to foster communication of mathematical thinking in primary students conducted by Karen Haney, Carissa Robinson and Janet D'Silva.